Our beauty is like the flower of the field. Each petal painted by the brush of our sovereign Creator. As a flower welcomes the kiss of the sun, its petals open to relax in the faithful gift of morning light. Flowers’ unique richness and variances of color differentiate not only from flower to flower but also petal to petal. They are wonderfully made. Their dance in the rhythm of a breeze whispers sweet fragrances into the air. They grow heavy under the weight of rain, and release their petals to decorate the soil surrounding them. As the sun greets them after a storm they stand tall, stretching toward the sky, with diamond drops of rain reflecting the sun’s glory. They have shallow roots, breakable stems, and withering petals. Flowers sing a testimony of our Creator’s faithful sustenance while they live to decorate the earth. ‘If creation sings Your praises so will I’ God is so SO worthy of praise; even His smallest creations magnify His glory. Without God we are fragile. Without God we wither and fall. Without God we are vulnerable, insecure, unsustained, and unprotected. Thorns can never protect us as well as our Father does. Which thorns have you trusted in leu of trusting Him? You see, thorns on some flowers are a means of self protection. Sometimes we have our own thorns that keep people from getting close to us. We’re so scared of predators that we prick anyone who gets too close and rob ourselves of enjoying fellowship and intimate relationships with people who would have partnered with us to bring more of God’s beauty into the world. Maybe we’ve already lived through an attack and in response to that hurt we grew our thorns in anticipation of another. Instead of being picked and enjoyed as a gift to God and others, we stab other people so they feel our pain. We attract other thorny people and cause other people to become thorny because of our unhealed hurts. We hurt people instead of bringing them joy. We create thorn bushes full of hurting people that kill Gods work in our lives and the lives of the people we’re closest to. “And some fell among thorns, and the thorns grew up with it and choked it.” — Luke 8:7 Sometimes we even use our thorns to protect us from the God we were created to serve, the only one who has the living water we need to survive. We can protect ourselves all we want, but without placing trust in God’s word we wither and die. “The Lord will fight for you, and you have only to be silent.” — Exodus 14:14 Thorns won’t save us from our fate, they only stifle our calling. Would you rather dance as a beautiful flower in the breeze of God’s grace? Or are you content to attack and destroy any beautiful flower that He has planted around you? He will do the pruning, we just need to be willing participants, hooked up to His life-giving vine. I hope you’re willing to give your thorns to Him. Do you know what He does with them? He takes them one by one, slowly perfecting us. 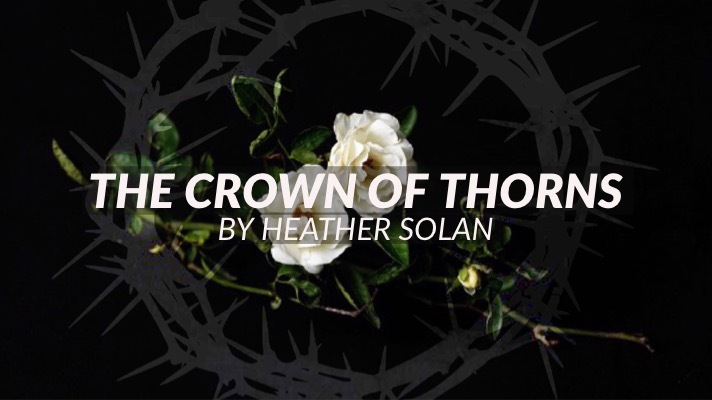 He took our thorns and He wore them as a crown. He died in our place with our thorns on His head He took our hurts, our sins, and our shame and wore them so they would die with Him on the cross. You don’t need your thorns anymore. He loved you enough to wear them Himself. Just please accept the gift He has already given you! Trust Him. He loves you so so much. He has called you by name and He took your punishment so you don’t have to be scared anymore. For years now, if I’m ever talking to someone and they say words found in lyrics, I’ll start singing the song. Thankfully, I’ve learned to catch myself and only sing it in my head (most of the time anyway). For the past couple years, every time I heard someone say “every little thing,” I’d instantly start singing the beautifully sad country song by Carly Peace with the same name (it’s one of my favorite songs to listen to when I’m sad and want to stay sad). I still love that song, but recently the Lord has flipped “every little thing” for me so that my first thought is of Him. I was running out at lunch the other week, needing to cross 4 lanes of traffic on a major highway. Shockingly, both sides were clear and my first thought was “thank you, Lord!” — awed by His care in even the smallest things. My next thoughts were, don’t be silly, clear traffic is trivial, that wasn’t for you specifically, it’s not important enough for God to worry about. Just as instantly as those thoughts came though, I rebuked them. I’m so thankful that I’ve been spending time in His Word so I could disarm the enemy’s attack so quickly — Jesus says in John 8:31–32, “If you abide in my word, you are truly my disciples, and you will know the truth, and the truth will set you free.” The more time you spend in the Word, the easier it is to recognize what doesn’t align with God’s character. The enemy would have us believe that God is too busy or too distant to care for our every need. Matthew 6:26 assures us that we don’t have to be anxious about the small things — “Look at the birds of the air: they neither sow nor reap nor gather into barns, and yet your heavenly Father feeds them. Are you not of more value than they?” Since the Lord meets the needs of birds who are not made in His image, we can trust even more that He will care for our needs — down to the last detail. Matthew 10:30 tells us that “even the hairs of your head are all numbered. 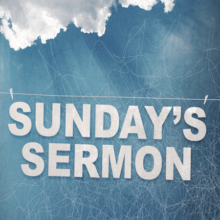 Fear not, therefore; you are of more value than many sparrows.” Seeing ourselves as insignificant feeds into the enemy’s plan to keep us feeling small and powerless, but the truth is that the Lord loves us, down to the hairs on our head. 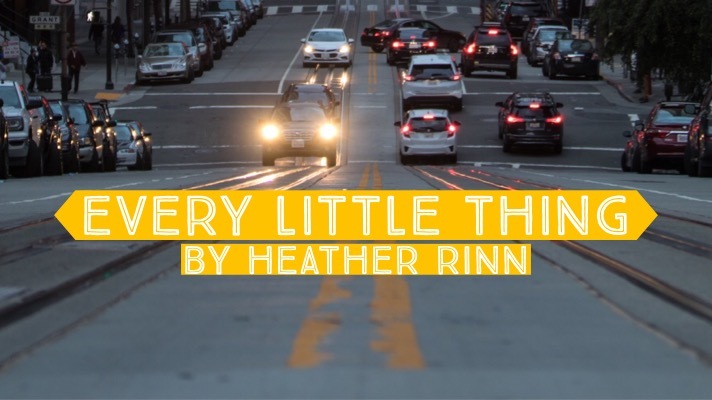 “Every little thing” is now a beautiful reminder, a meditation invoking faith, hope, and a sense of security. We are fully loved — “I have loved you with an everlasting love; therefore I have continued my faithfulness to you” (Jeremiah 31:3). We can trust His care — Matthew 6:8 assures us that “Your Father knows what you need before you ask him.” So when the enemy tries to belittle God’s character and diminish His care, we can stand firm knowing that God is taking care of us and deserves our gratitude — for every little thing. I’ve always been an overachiever — over involved in sports, band, clubs, leadership, and academia. 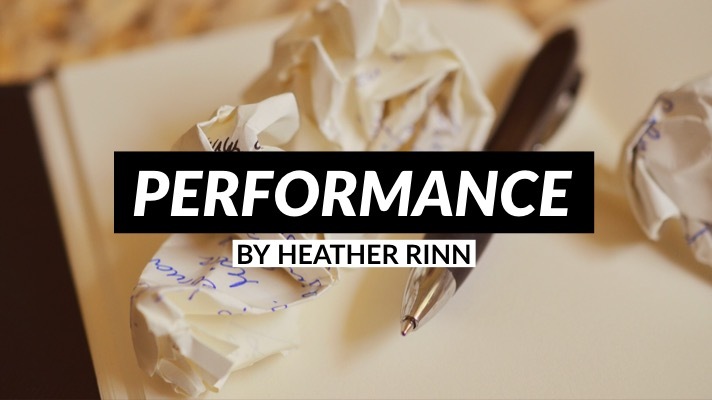 My upbringing and experiences taught me that my self-worth was directly tied to my performance. So when I came into relationship with Christ in my 20’s, this false belief easily transferred to my relationship with Him too. My training made it easy to begin doing all the “right” things as a Christian and follow the rules, but I would wonder every time I read that “the Lord looks upon the heart” (1 Samuel 16:7), unsure of what He was finding there. There’s an emptiness to constantly putting on a facade of perfection and I lacked fulfillment. I believed the promise that “he satisfies the longing soul, and the hungry soul he fills with good things” (Psalm 107:9), but no matter how hard I tried, I couldn’t seem to work hard enough to make me feel better about myself before God. It didn’t matter how many Bible studies I attended (or led), how many services I attended, or how many ways I served at church, the hollow feeling persisted. I could easily recite that God’s grace can’t be earned through works — Romans 11:6 tells us, “But if it is by grace, it is no longer on the basis of works; otherwise grace would no longer be grace” — but I had no idea I wasn’t living that and I definitely didn’t know how to begin living it. My restoration began when the Lord started healing my image of Him. I started to accept that not only does He know and see me, but I don’t have to earn His love — “I have loved you with an everlasting love; therefore I have continued my faithfulness to you” Jeremiah 31:3. I allowed my shame to slowly be undone through sharing with Him even the hidden parts of myself. Right there, in my honest admission of how I genuinely feel, is where I’ve found my greatest transformations. When my will conflicts with His, I no longer ignore it or deny myself — I take it to the Lord, get really honest, and struggle and wrestle with it there in His presence, asking Him to align my will with His. I have found such a freedom in leaving perfection up to the Lord and just being entirely myself. Piece by piece, I’ve been dismantling my performance-based life: authenticity required, mistakes allowed. Progress is slow, but seeking Him has become much more natural and less of a checkmark on my to-do list. I don’t obey for acceptance or validation; I do what is in my heart and follow Him in response to His grace. Psalm 11:14 tells us that “in (His) presence there is fullness of joy; at (His) right hand are pleasures forevermore.” It is such a gift to finally feel the freedom that comes from genuinely walking with the Lord. New Year’s Resolutions.Ugh! I just don’t get it. I mean, seriously? I can think of a slew of things that shouldbe on my New Year’s resolution list. However, practicality goes a long way with this girl! If I scour over the many areas in my life where I feel the starkness of inadequacies, I could probably generate two lists. Oh, and let’s not forget Satan. He is more than happy to assist in the analysis, via insecurities and self-doubt, perfectly willing to create a spreadsheet of shortcomings. How do I possibly narrow it down to just one? Which one should take precedence? This one? Or that one? Before I know it, frustration takes root and I toss out the whole idea. And how did New Year’s resolutions gain control over time? If I happen to survive the annual quandary of resolution selection, January has long since come and gone. February now sits in command of my daily routine. The resolution I contemplated on behalf of the new year’s dawning has quickly fallen by the way side, as quickly as the ringing of the twelfth hour ceased. I am the “Cinderella” of new year’s resolutions… Living in February missing January’s dreams. Potential! Yes, potential! What if I were to give my heart and mind over to my All-Knowing Father and asked Himto charter the days of my new year? Let Him direct and pilot my personal improvement plan for 2019. Let Himshow me my areas of highest potential for the furtherment of HisKingdom. My Creator becomes my resolution maker. He is where I should have started in the first place! His credentials are, at best, impeccable.Jeremiah 1:5(a)states, “Before I formed thee in the belly, I knew thee…”. He knew me then. He knows me now. And He knows me tomorrow. Even on the days when I seem like a perfect stranger to myself, God knows every, little detail. I never have been, nor will I ever be, a stranger to Him. Rather than giving directional control over to my own resolve and self-image, influenced by Satan’s lies, I cling to my Omnipresent, Omniscience Father for focus and direction. 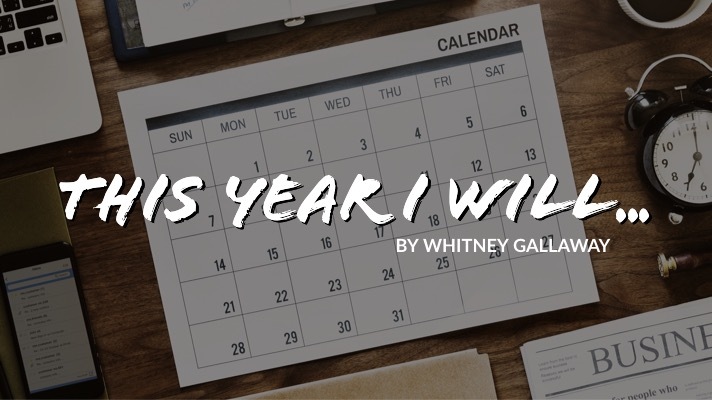 In place of new year’s resolutions, I ask God to plant a thought, a word, or a truth, deep inside my soul that I may pursue in the coming year with tenacity, obedience, and vigor. I adopt a word He chooses for me! Maybe that word is SURRENDER. Perhaps that word is TRUTH. Maybe that word is FORGIVENESS. Maybe He chooses PERSPECTIVE. Regardless of the word He chooses to give me, I can rest assured it was chosen by God Almighty. Suddenly, I am no longer burdened by the thought of 2019. I am excitedly going about my days, waiting in great anticipation of how my word, God’s word for me, will play out in my day. I challenge you to give it a try. Ask the Lord for His word foryour 2019 and then watch as he brings it to life! I confess, I’ve never been very good at confessing my sins. Not sure if that stems from growing up in a Catholic church where I was absolutely terrified of giving confession, but it was never something that came easy. It wasn’t that I thought I wasn’t sinful — Romans 3:23says, “for all have sinned and fall short of the glory of God” and 1 John 1:8–10makes it clear that “if we say we have no sin, we deceive ourselves, and the truth is not in us.” It wasn’t a lack of remorse or an unwillingness to admit and ask for forgiveness — I just had trouble keeping a running list of them. The truth is, days of prayer would pass without any admission of sin. 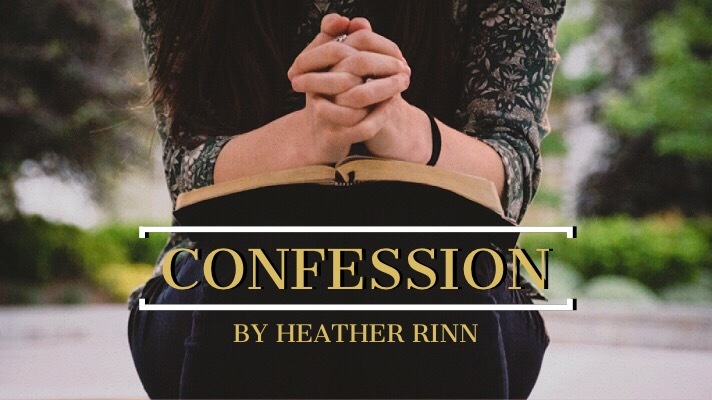 I had to confess them intentionally and when I finally did, only a few things would come to mind and I would sit there trying to think harder, knowing there had to be more, much more. It was hard to find comfort in 1 John 1:9that says “if we confess our sins, he is faithful and just to forgive us our sins and to cleanse us from all unrighteousness” when I knew I wasn’t fulfilling my end of the deal. Recently the Lord revealed to me that it’s not about reciting a list of sins, but a deeper understanding of my sinful nature — my flesh’s automatic inclination towards sin. I need to actively “walk by the Spirit” in order not to “gratify the desires of the flesh” (Galatians 5:16). As this realization has really sunk into my heart, it’s shifted my perspective. I no longer see sin as something to stockpile and recount at a later date — I’m more tuned in to my first impulse towards sin and therefore more acutely aware of my sin as it’s happening. I went from reporting past news to being engaged in the battle — as soon as I recognize my sin, I instinctually fall into apology for anything that doesn’t align with Him. It’s a fight that requires constant vigilance against my sinful nature. I’m reminded of Psalm 51:2–3where David cried to the Lord, “wash me thoroughly from my iniquity, and cleanse me from my sin! For I know my transgressions, and my sin is ever before me.” I now have a deeper fear of the Lord, knowing just how deep my sin runs. And with my sins ever before me, I’m even more thankful for Christ’s completed work on the cross and that there is grace as I continue learning and growing. Y’ALL. 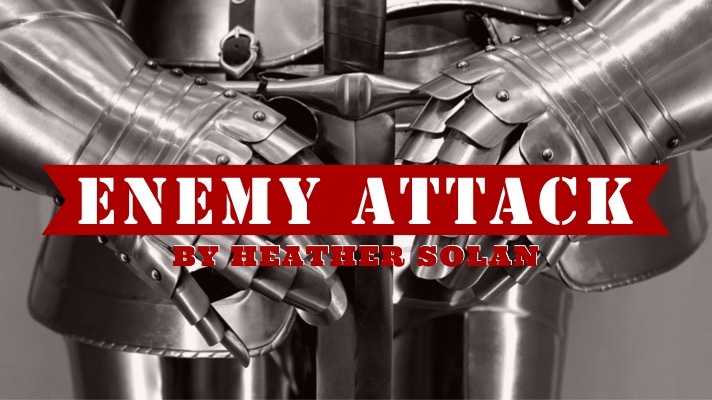 When God says “Put on the whole armor of God, that you may be able to stand against the schemes of the devil.” (Ephesians 6:11) He’s not playing around! If there is anything I’ve learned this week it’s how extremely important this command is! I’m currently doing the bible study, Armor of God by Priscilla Shirer, and God gave me a perfect example yesterday of His promises to go before us and equip us to be able to stand against the schemes of the devil. Also if you haven’t been praying that He would provide a shield of protection around you and your family please do so now! God is faithful, He is victorious, and His promises are true! Let me preface this by explaining that I’m not sharing this story to claim Jehovah’s Witnesses are bad people who are aware of their church’s harmful doctrine and untrue teachings and want to harm others. They instead are individuals, dearly loved by God, who have been tricked by the enemy into a church that perverts the Gospel of Jesus Christ, blurring their ability to recognize truth. They actually call themselves Christians, but their most basic theology is not what we as Christians know to be the good news of Christ and the relationship and salvation He provides for us by His death on the cross and physical resurrection. They believe he died on a ‘torture stake’ (I don’t know either) and was spiritually but not physically resurrected — something our sovereign God disputes in the Word over and over as He even drives the point home by having them touch the scars on His hands. 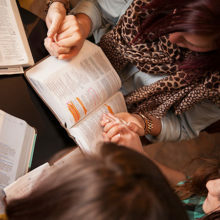 I understand that many were born into the religion, given bibles that have been reworded to fit Jehovah’s Witness’s doctrine, given extra rules and regulations to follow created by men outside of the will of God, and are burdened with the fear of being disfellowshipped and disowned by their friends and family if they question or believe anything other than what their church spoon feeds to them. I’ve known enough ex-Jehovah’s Witnesses to know that most are miserable, living without hope, and have doubts they are too scared to vocalize. My heart hurts to think of the dire situation that has enslaved them. Jesus loves them, and I’m praying for each of them and I hope anyone who reads this will too. Now to my story…. Yesterday I had a first time client and she was a sweetheart. She told me she was a Christian too and when she asked if I have a favorite scripture I had the opportunity to share it with her (Isaiah 43:19) as well as why it was my favorite which led to telling her my testimony. When I get share my testimony with fellow Christians while I’m at work, (I put goop on their hair for a living, and they can’t leave until it’s rinsed out…guaranteed captive audience) they usually get excited and share theirs as well and we have a little Jesus love fest right there in the salon. It’s literally my favorite. This time was different, my client seemed uncomfortable and we slowly drifted back into other topics of conversation. The Holy Spirit made me feel unsettled. Something wasn’t right. When I asked her where she lived, she told me she enjoyed living in Conway because she has other members of her church who live on her same street. If y’all don’t already know, there’s a lot of beautiful Christian churches in Conway and anyone could believe she was talking about one of them, but there’s also a Kingdom Hall (where the Jehovah’s Witnesses attend church). There’s no reasonable explanation other than that the Holy Spirit spoke to me as I immediately thought ‘oh she’s probably a Jehovah’s Witness’. But I didn’t ask and she didn’t tell me. A few months ago I watched a documentary on their practices, and was inspired (by God) to do more research on what they believe and how they try to indoctrinate you. In my nerdiness, I often research false religions to learn how the enemy has been able to blind people to the truth and indoctrinate them as well as understand what they believe so I’m an effective witness to them, if given the opportunity. Jehovah’s Witnesses are told to look for sheepish people who can be easily persuaded. Of course they are. The devil roams the earth like a lion. Sheep are easy prey. Jesus doesn’t care how weak minded or strong willed we are, because He has the only true power to change our hearts from the inside out and transform our lives for our good and His glory. I’m a strong personality and, man, do I love me some Jesus! He won me over, not by preying on my sheepishness, but through His own power which far surpasses my own! But back to my story… I get off track because God is so cool! My research led me to finding some videos that they use to indoctrinate their own children as well as show other people’s children to draw them in, make them comfortable with their church, and plant some belief in Jehovah’s Witnesses theology. Fast forward to yesterday – my mom dropped Jackson off by the salon after school and he was playing in the kids room right near the shampoo bowls. While I washed her hair Jackson played within earshot of us. My client pulled out her phone and told me “You should let him watch these videos, they’re really cute and they teach children Christian morals like humility. There’s a bunch of them too if he wants to watch them.” She then turned the volume all the way up (I assume so Jackson could hear it) and played ONE OF THE VIDEOS THAT GOD HAD ALREADY SHOWN ME that they show children to teach their doctrine. Knowing I’m a Christian and not telling me that the video she suggested Jackson watch was actually Jehovah’s Witness propaganda is SO clearly a sign that this was a scheme of the devil. Deceit is the devil’s calling card. I immediately recognized the video and knew that it was the Holy Spirit that had already warned me that she was a Jehovah’s Witness. To my horror Jackson heard the cartoon and came to the door of the kids room to see what we were watching. I signaled for him to go back in and he told me later that he felt a strong need to go back into the room (even though lately we’ve had a hard time with obedience) which I can only assume was the Holy Spirit inside of him (praise the lord my son has also accepted Jesus!). I told her that I knew it was a Jehovah’s Witness video and she seemed embarrassed and put her phone away. I was kind, but she realized that I knew she was being sneaky and caught her. I’m so thankful that God protected us. What if I wasn’t prepared and listening to the Holy Spirit and Jackson watched something that messed up his theology or understanding of God without my knowledge? Of course the rest of the appointment was awkward, she wasn’t happy, and she left without making a second appointment. Honestly (even though Jackson wouldn’t ever be there during one of her appointments again) I’m being obedient in praying that she come back so I have the opportunity to witness to her more. I’m hoping that some seeds were planted while I shared my testimony with her and I’m praying for her that she comes to know the truth and accept Jesus into her life. Y’all. God went before me and prepared me without my knowing that the devil was plotting against my child. He then warned me during her appointment even though there was no reasonable explanation to why I knew that she was a Jehovah’s Witness based on what she said. Could He have stopped her from ever coming into the salon? Of course! If I was weaker in my walk with Him, He very well may have. Could He have kept Jackson from coming to the salon that day? Absolutely! So why did He let it play out like it did? He allowed me to experience first hand how easily He knocks down the attacks of the enemy! 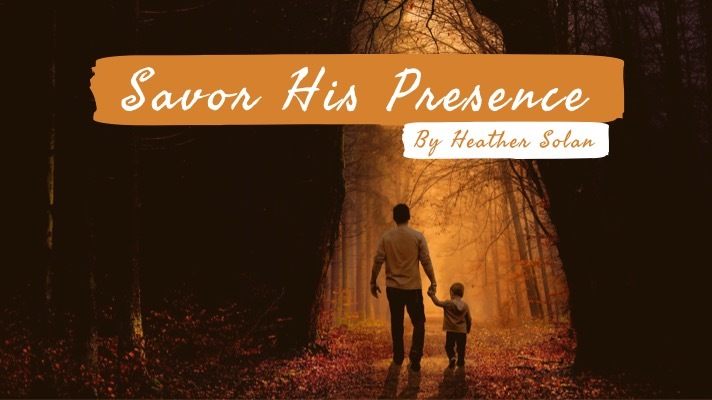 He graciously gives discernment at the right moment, and stands victorious in the protection of His children! He allowed it so as to build my faith and trust in Him even more and to show me the importance of the armor I’ve been studying. I don’t have to be afraid because I have a God who will fight for me! No weapon formed against us shall prosper! If you don’t already have your armor in place I urge you to suit up! The devil is roaming the earth like a lion, seeking whom he can devour and if he can’t get to you he’ll go after your children! There’s a war going on whether we acknowledge it or not. Do you want to be unarmed when he comes after your family? Or would you rather be watchful, suited up, and able to knock down the schemes of the enemy when he comes against us? We fight from a stance of victory and God strengthens and protects us when we seek Him! God is faithful! He is our protector and we can trust in His promises! Before Jesus appeared to the disciples in this passage, they were discussing what had just happened to them. Jesus then joined them on the road to Emmaus. They were “kept from recognizing Him” (Luke:24:16) and when He asked, had unknowingly told Jesus about His own crucifixion and burial and that it was now the third day and they still hadn’t seen Him. “But we had hoped he was the one who was going to redeem Israel” (Luke 24:21); they even told Him about the women that found His empty tomb and their friends who had also seen it, but they complained that they hadn’t seen His body. It wasn’t until Jesus accepted their invitation to stay for the night and blessed and broke their bread at dinner (symbolically alluding to the last supper and His body that was broken for them) Jesus opened their minds and they recognized Him. The part that simultaneously cracks me up while also making the disciples so relatable is that when they talk to the other disciples about what they had just experienced, they ignore Him AGAIN until He speaks up and startles them. I mean, really….I’m SO thankful for His patience with us. Their focus wasn’t on Jesus, where it belonged, but rather than recognizing Jesus in their midst, they complained about what they thought He would do and doubted His promises because He was taking longer than they thought He would. Can we say conviction? I, too, have been guilty of overlooking past and present miracles because God is taking ‘too long’ to fulfill His promises to me. Meanwhile, He’s walking next to me, showing me who He is as He fulfills His promises. “Making America Great Again” isn’t contingent on the president. In the same way, bringing “hope and change” isn’t contingent on who is running our country. Regardless of your political affiliation or situation in life, you can have peace and joy. Peace and joy that isn’t contingent on your circumstances or our political leaders. Wow! We receive this kind of peace and joy when we tap into and drink from the One that gives living water, the One that is the bread of life, the One who can do immeasurably more than we can even imagine. 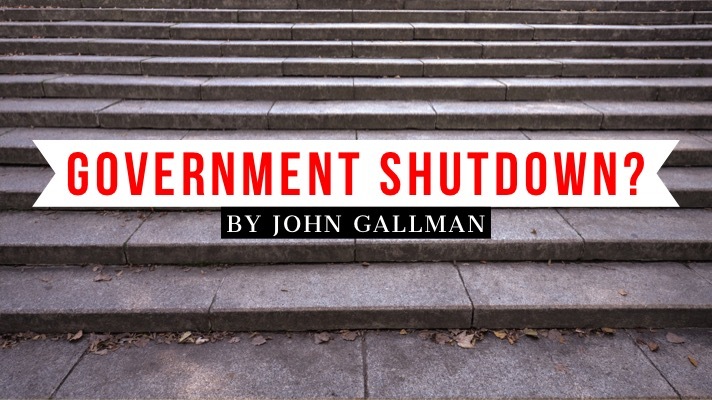 Our joy, peace, and hope shouldn’t be contingent on whether we are happy or not happy with the election or a government shutdown. Take a deep breath — you can be assured that the One who reigns sovereignly, bringing truth and justice, still has all the authority. Political affiliations aside, drink deeply from the One that utters, “Peace! Be still!” (Mark 4:39) in the midst of storms. Drink deeply from the One that says, “I am the way, the truth, and the life.” (John 14:16) Jesus is our only hope for change and our only path to a great America. Today is the day to “taste and see the Lord is good.” (Psalm 34:8) God bless each of you and our country. May we each find peace and joy in 2019. God’s choice of the refiner’s fire — not a forest fire which destroys with wild abandon or an incinerator’s fire that destroys completely — is unique, as it neither consumes nor destroys. 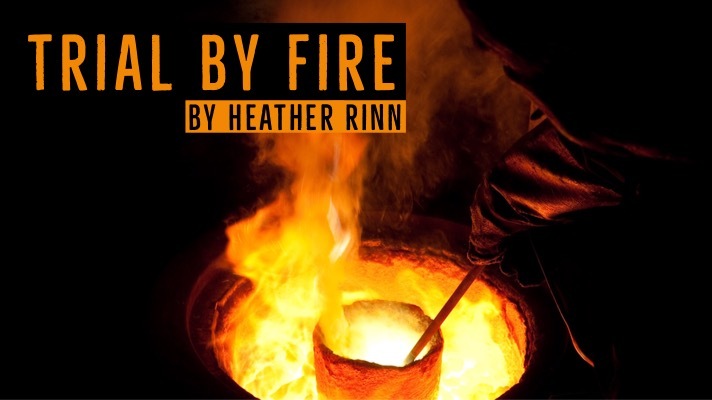 Just as gold is refined — heated by flame, then stirred and skimmed to remove the impurities that rise to the top — trials stir up impurities in us so that the Lord can skim them off, leaving us a better reflection of who He is. I realized this process, these trials in life, were never meant to destroy us. While things may heat up, we remain safely confined to His care within the crucible of His hands. I’ve heard that we are all either headed into, headed out of, or are currently in the midst of a difficulty. Over the last eight months or so, as my life has been trial after obstacle after struggle, I found myself repeatedly waiting for this season to pass. I’ve faced betrayals,uncertainty, estrangement, hardship, and a broken heart. My consistent prayer was to move on, out of this season of pain and pressure and exhaustion. Any one or two things would have been manageable, but they were constantly overlapping — enough that I often had to surrender under the weight of it all. I confess I drew a sad face next to this paragraph (don’t worry, it was a workbook) as I realized that my approach to my current season wasn’t aligned with the Lord and it wasn’t helping me either. I needed to be reminded that there is purpose in every detail of our lives, even when it hurts. This long winter season, this pressing, is part of His plan and there is much here for me to learn. 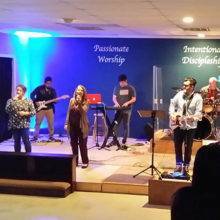 In sharing my struggles, a friend shared with me a beautiful song by Hillsong called Seasons. The song references a seed buried in snow — the seed of a sequoia. My friend went on to explain that the snow can be an integral part of the growth of this majestic tree, which grows to be the largest in the world. Its seeds can lay bare on the cold ground, covered in snow, and still grow. The snow and cold serves to soften the hard outer coating of the seed so that it can germinate in the spring. Isaiah 55:10 tells us that “the rain and snow come down from heaven, and do not return to it without watering the earth and making it bud and flourish.” In the same way, our winter season can serve to soften us, preparing us for the harvest in spring. 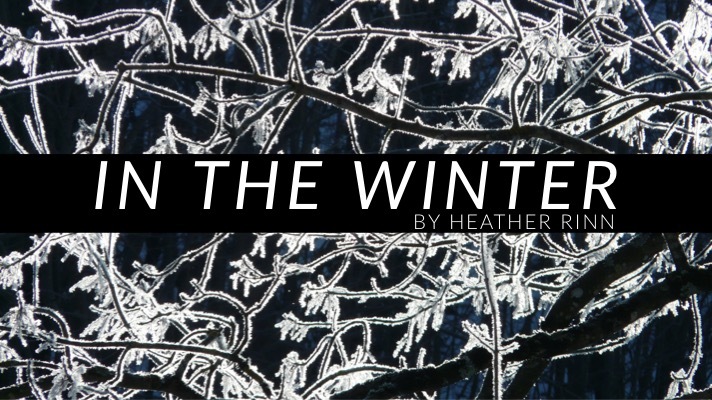 Winter comes for us all — an invitation to develop patience and faith while He works within us. Romans 12:12 encourages us to “Let your hope keep you joyful, be patient in your troubles, and pray at all times.” Most days I still have to ask the Lord for the courage to fully engage right where I am, to stay on the path He has for me, and to count it all joy. The pressure is still there, as my neck and shoulders can attest, but there is a peace in my heart when I stand in the confidence in His plan and His purposes.